A quick note before we zoom off to cut up a steer. 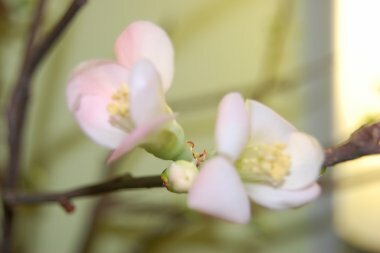 The quince branches in the bathroom are just coming into bloom. Not outside–it never even go out of the 20’s yesterday. The girl and I raked for an older neighbor and even though it was sunny the wind was bitterly cold.